This very sweet infant t-shirt from our friends at Mayoral is a captivating mix of soft jersey fabric and delightfully stylish detailing. 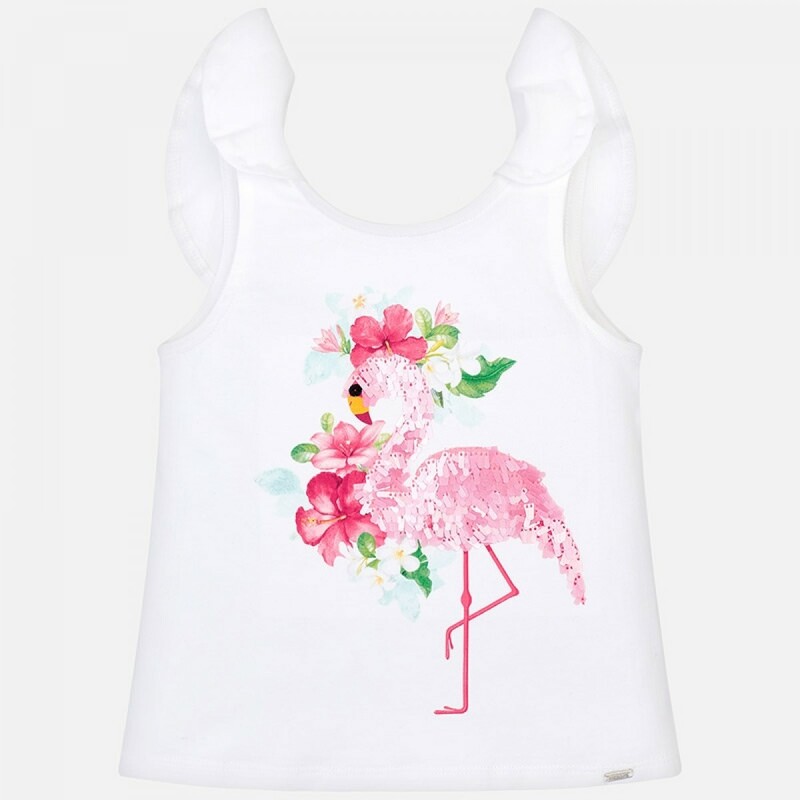 Made in soft comfortable cotton jersey, with a ruffle on the shoulders and back, it has a gorgeous floral and flamingo print with pink sequins on the bird in larger sizes. A charming, unique and stunningly beautiful piece that your little one can wear any time, any place, and always look totally incredible. It's lightweight and easy to wear, so she'll be cool and smart during those hot summer days. It's easy to mix and match - just pair with leggings or summer skirt to complete the look! Bright, gorgeous and easy to wear, it's a wonderful way to celebrate summer in style.